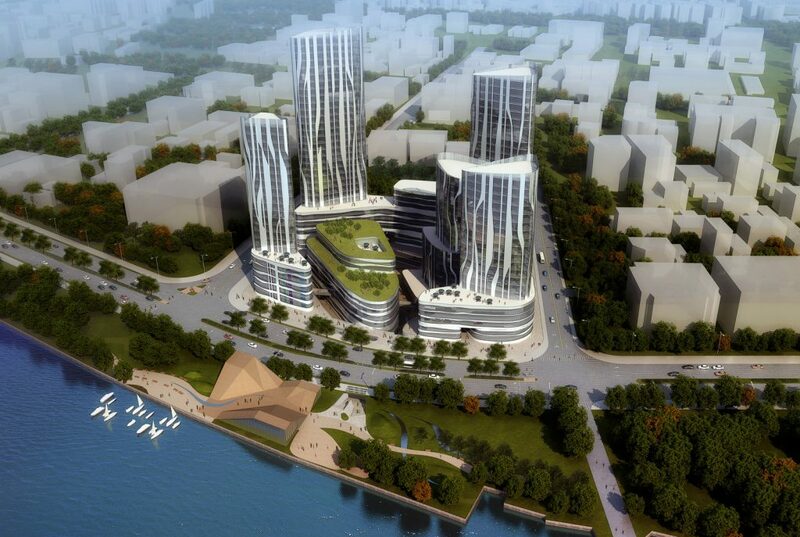 Guangzhou is strongly connected to its main artery, the Pearl (Zhujiang) River. Its urban structure is to some extent organized by water. But also in a smaller scale to be considered in this particular site, the soft, fluent shapes of the adjacent river can be continued or even become the initial design idea. 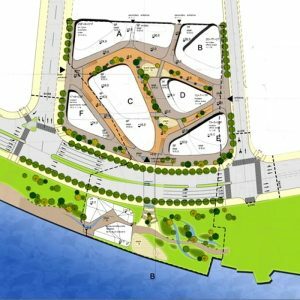 The plot is separated and divided into two parts by a major city road – a smaller southern one next to the water where ferry landings and some tourist facilities will be located, and the much bigger northern part as the main commercial area. 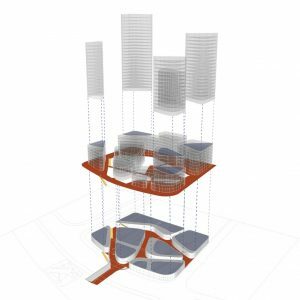 The commercial areas consist of roughly 2/3 retail areas, and 1/3 hotel rooms, serviced apartments and office space. 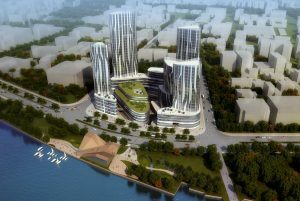 Guangzhou New City Industrial Development Co., Ltd.
Continue reading "Guangzhou Pearl River Mall"
Both areas – the soft, open river landscape and the stony, densely urban shopping canyons – are interconnected by an underground passage, in order to create a smooth, unimpeded flow of people. 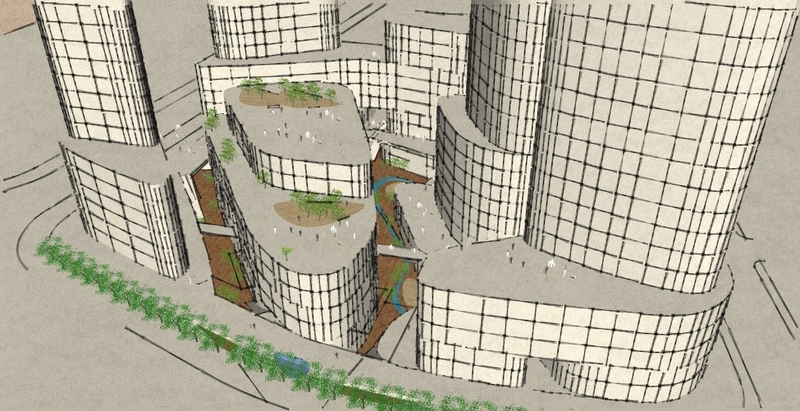 Instead of creating a conventional shopping mall made of vast monotonous volumes, in this case organically shaped pedestrian paths winding through the plot divide the space into several small-scale retail buildings. Shops are organized in 2 underground and mainly 4 to 6 above ground levels. 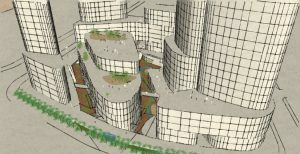 These shops are interconnected and easily accessible among each other; an attractive pattern of bridges and open terraces has therefore been created. A building with tourist facilities in a rather unique shape is located right on the river bank, next to the waterside promenade and its lush park areas. This building is closely connected with the landscape, even becomes itself part or extension of the landscape, allowing pedestrians to freely step on its roofs on different levels and enjoy splendid views upon the river.